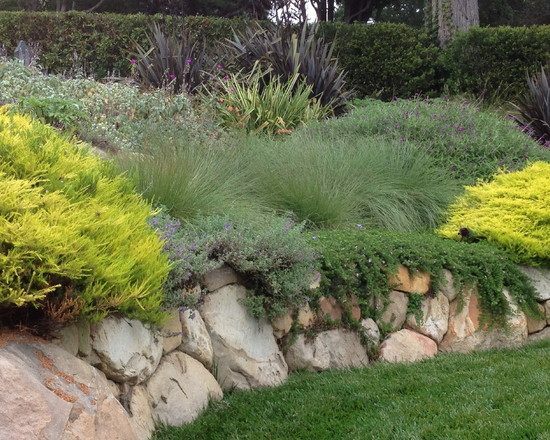 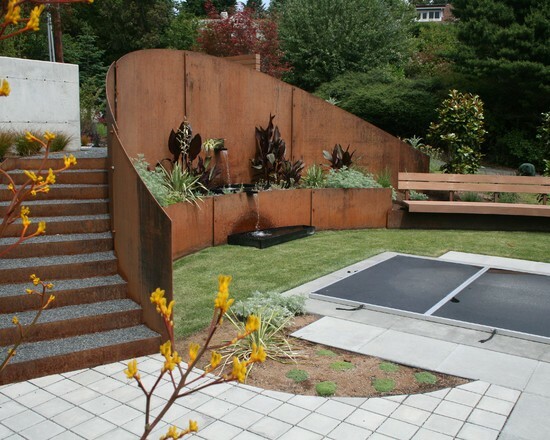 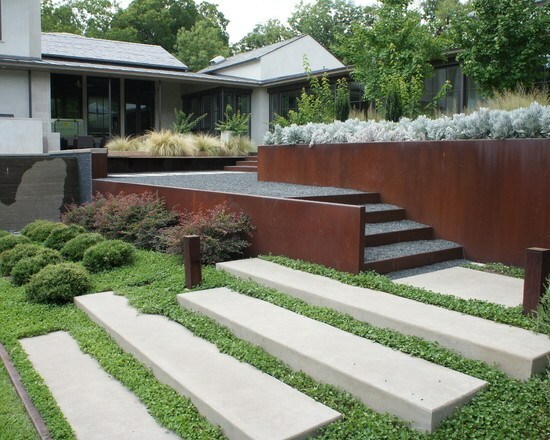 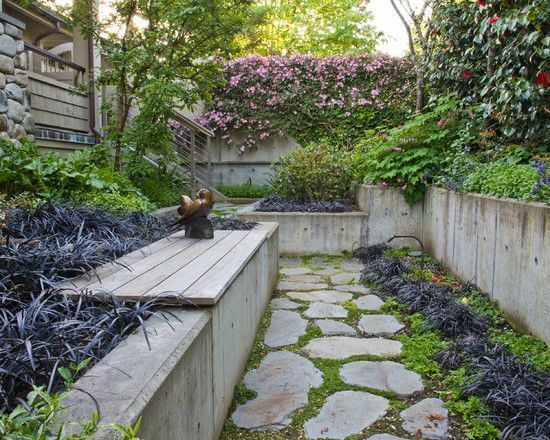 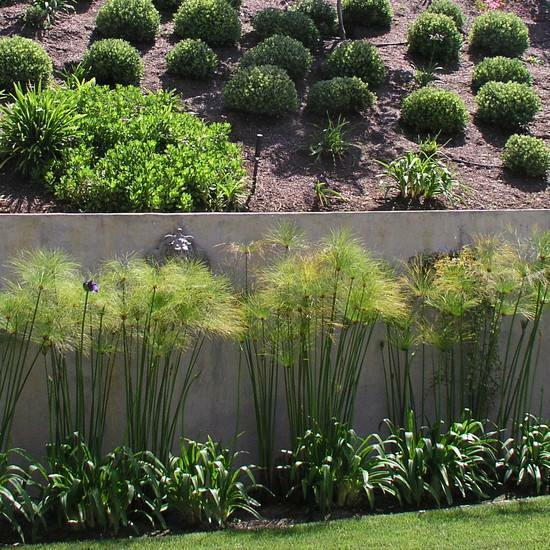 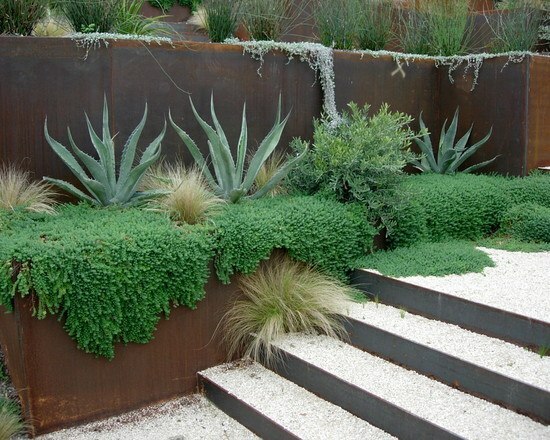 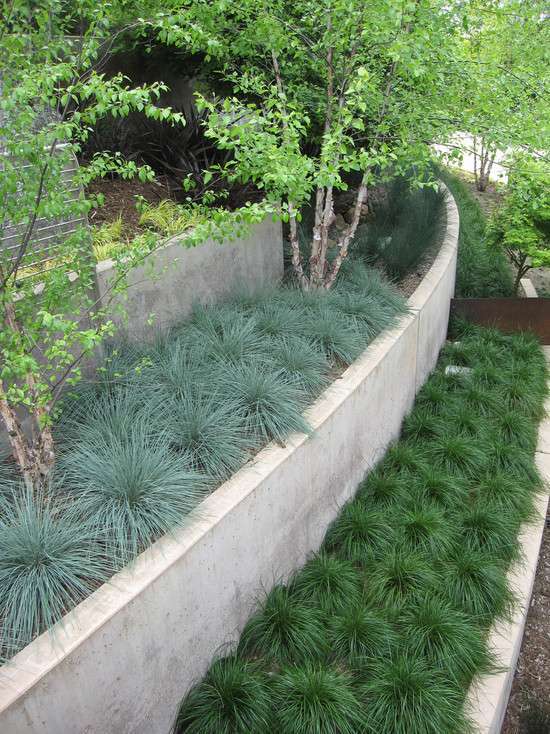 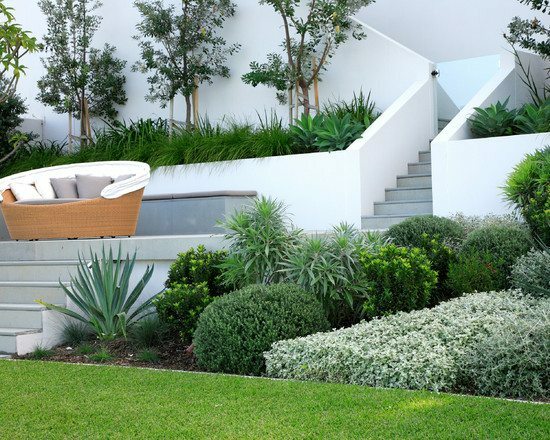 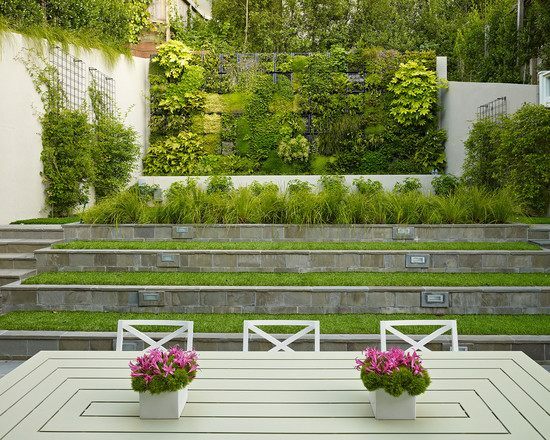 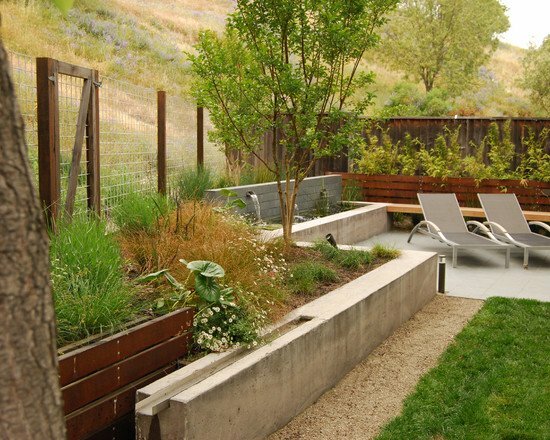 Modern landscaping features beautiful retaining wall design ideas. 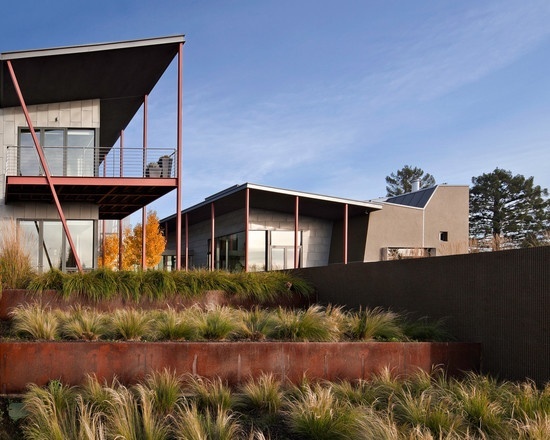 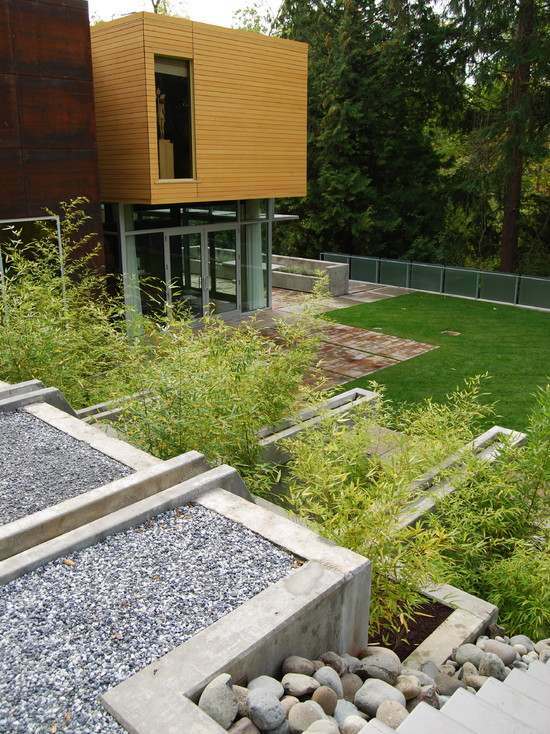 These structures are often designed when the terrain is sloped and soil has to be restrained. 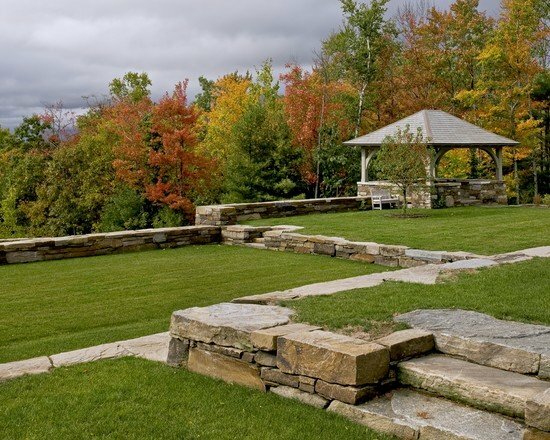 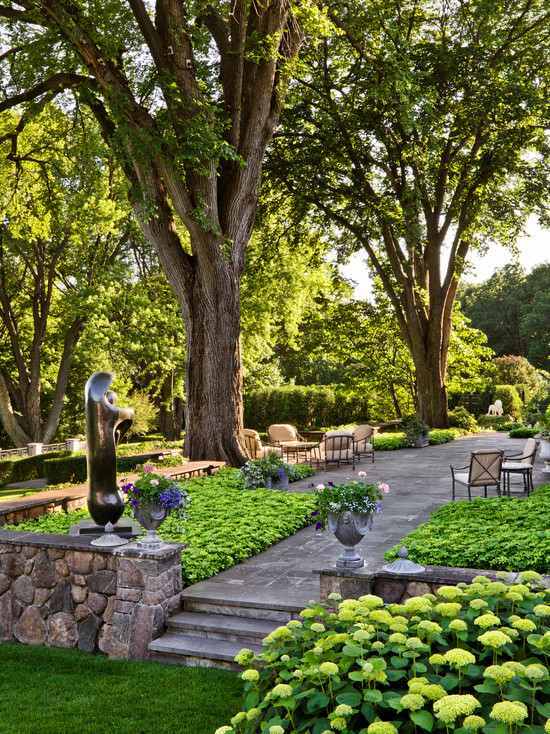 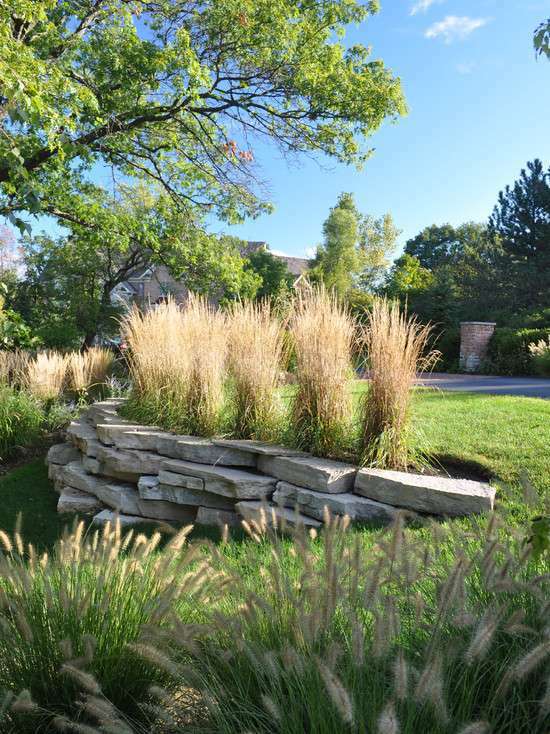 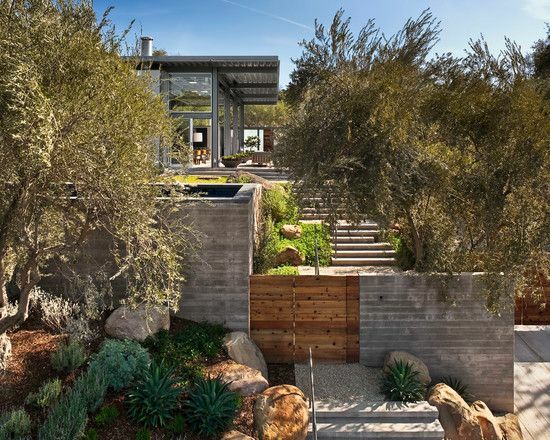 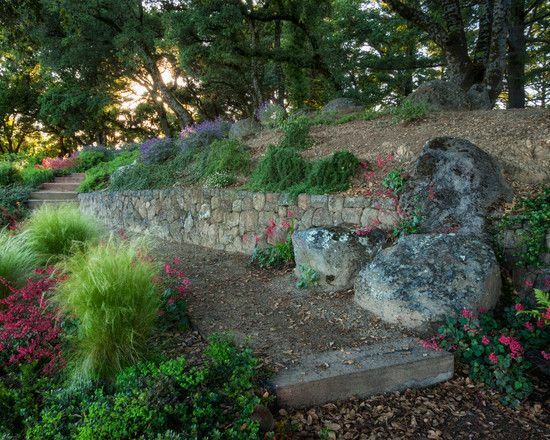 With the help of retaining walls, landscape architects make sure that soil is bound between the levels of a hillside and create spectacular and picturesque views. 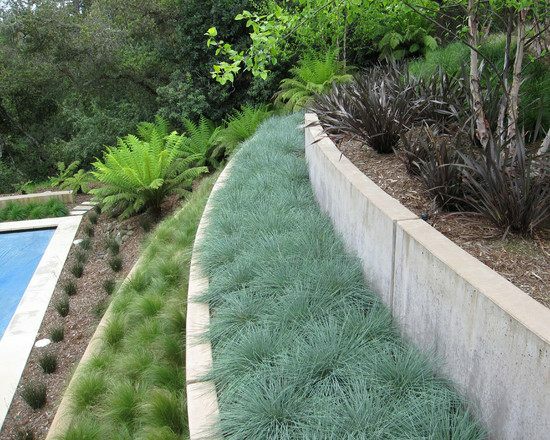 Hardly anyone could give an answer to the question what is more important in the modern retaining wall design ideas – the form or the function. 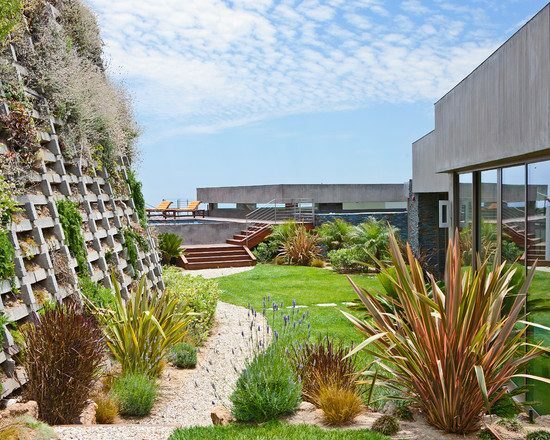 Based on the prime purpose of these walls, we could say it is function, but this does not mean that form must be neglected. 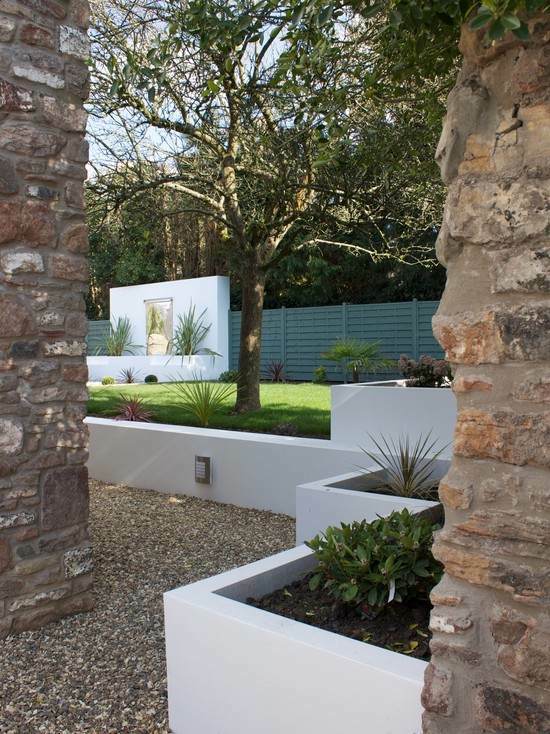 These walls are carefully engineered and have become a practical element in the landscape. 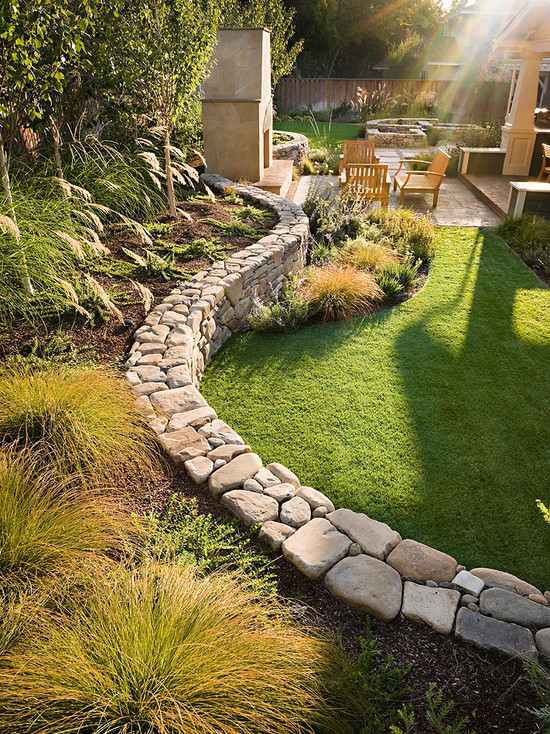 Experts classify garden walls in different categories. 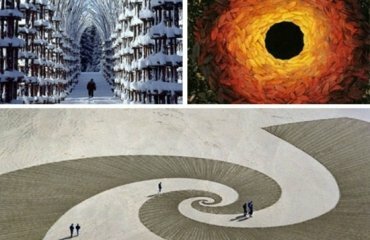 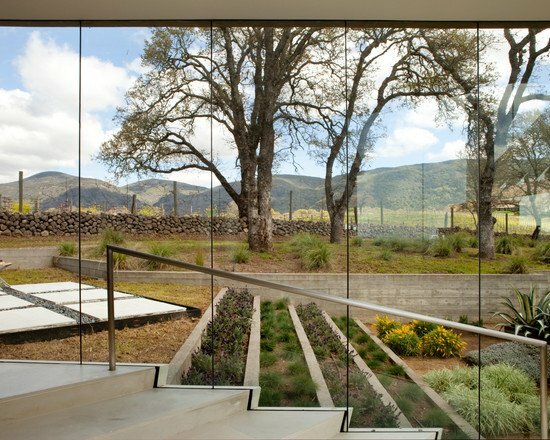 The first category includes walls that have a decorative function and are used as an architectural and artistic element. 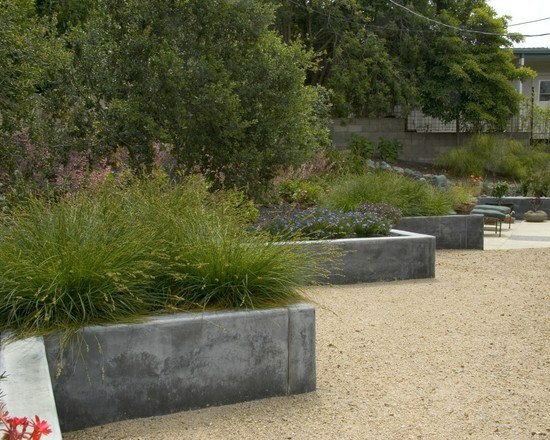 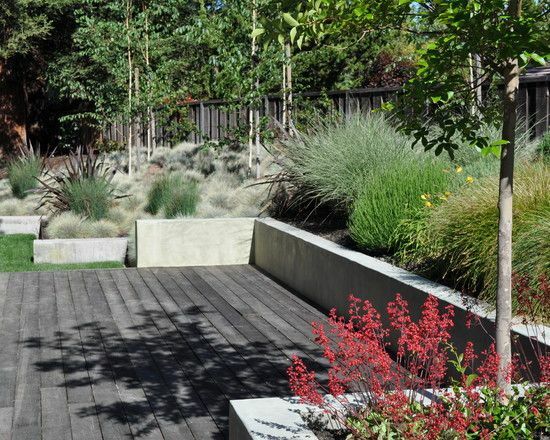 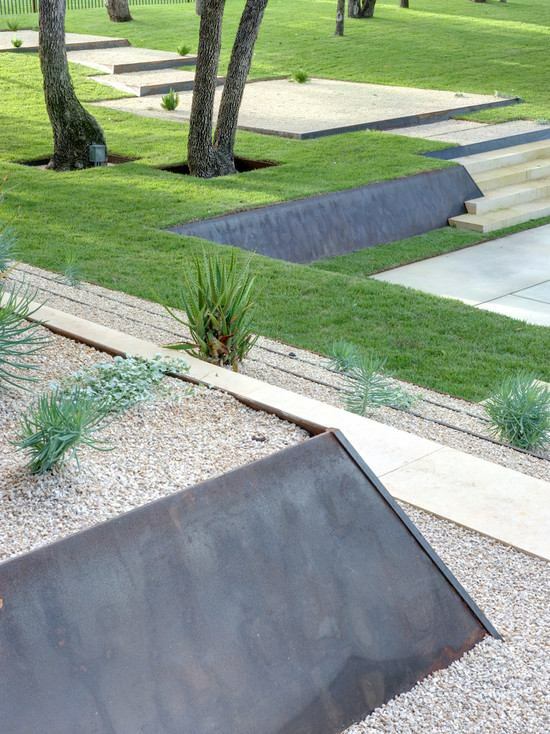 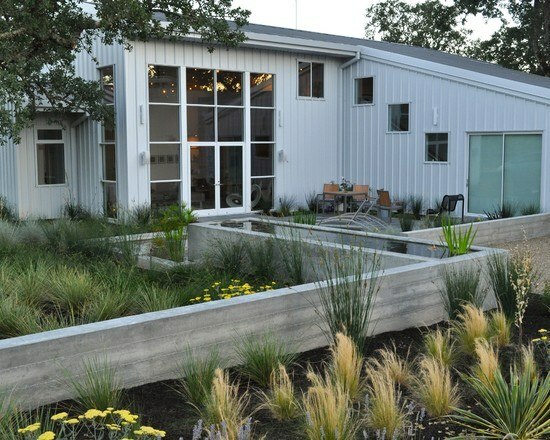 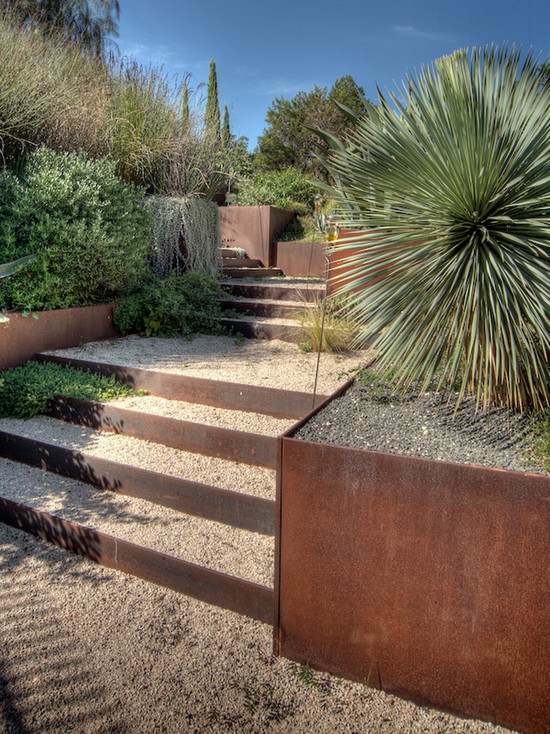 They can be built on a flat site or sites with a small slope as an element of landscape design. 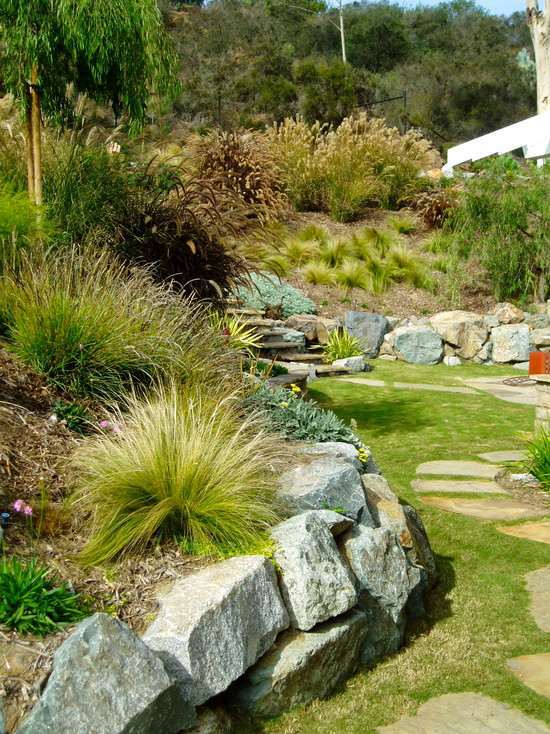 Retaining walls which are used to hold the soil on the slopes of the terrain is the second category. 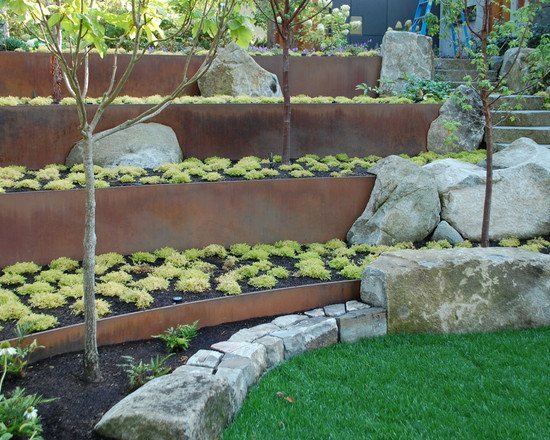 They are widely used for terracing natural slopes in order to increase the useful area for the placement of elements of gardening and landscaping. 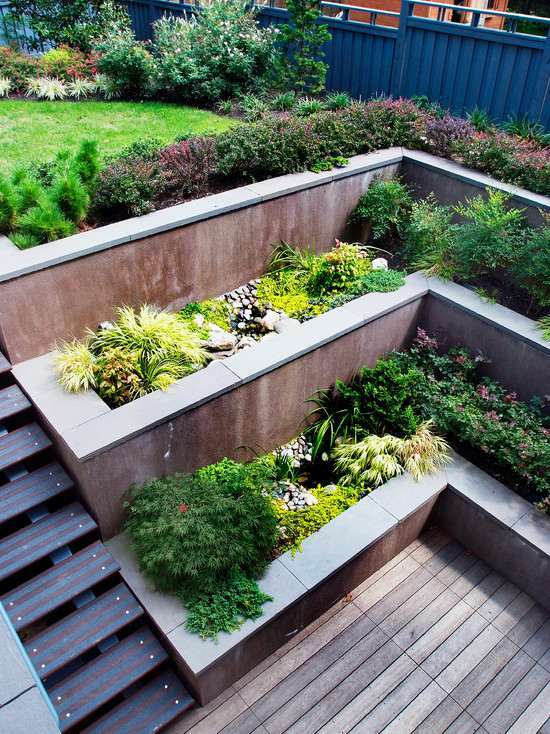 Functionality is a prime concern over design and appearance. 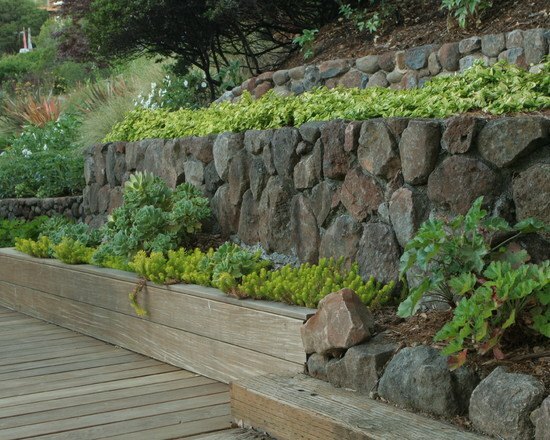 Retaining walls with mixed functions are used as strengthening, but should have an attractive appearance. 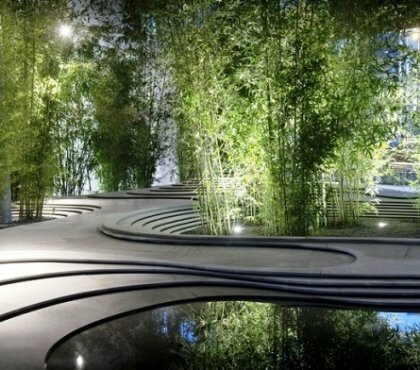 Such a structure must have high strength to withstand the pressure from the ground and to please the eye with an aesthetic design. 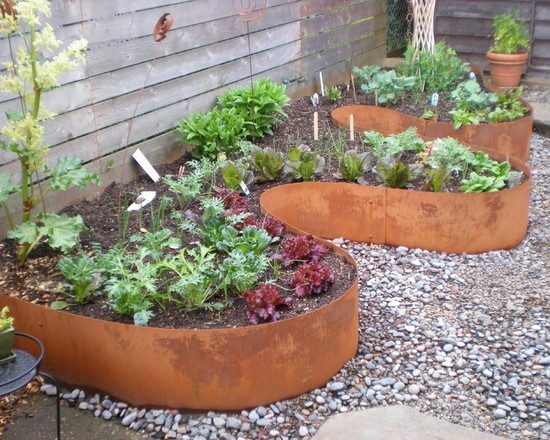 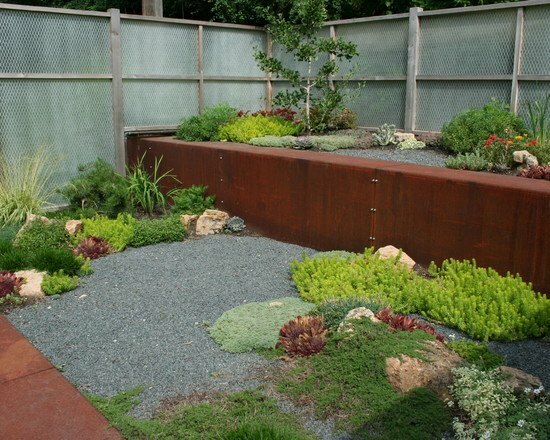 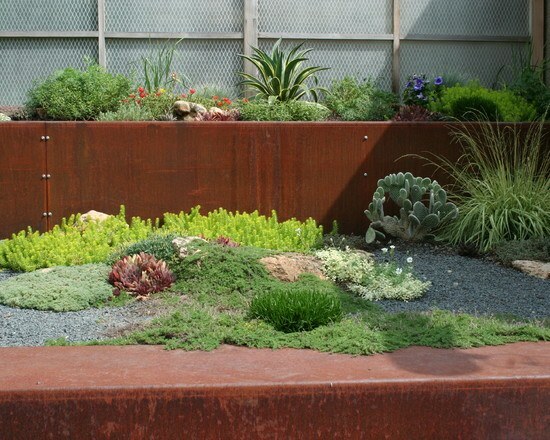 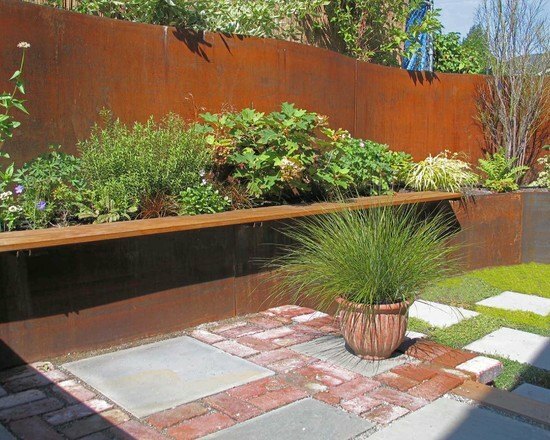 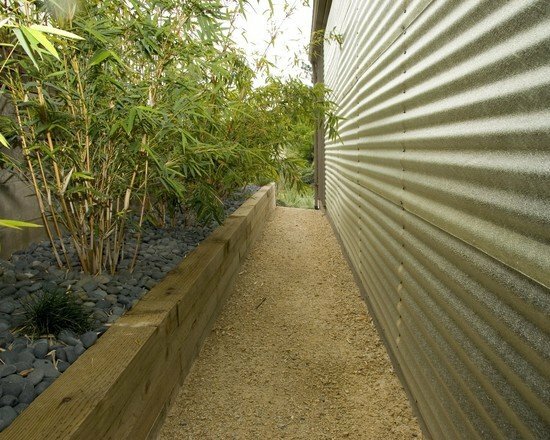 If your site has a complex terrain with a large difference in altitude, the layout of the garden will require the installation of horizontal surfaces for planting. 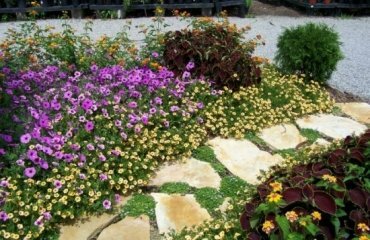 The most non-rational approach in this situation is the leveling of the plot surface with the help of purchasing and importing new soil. 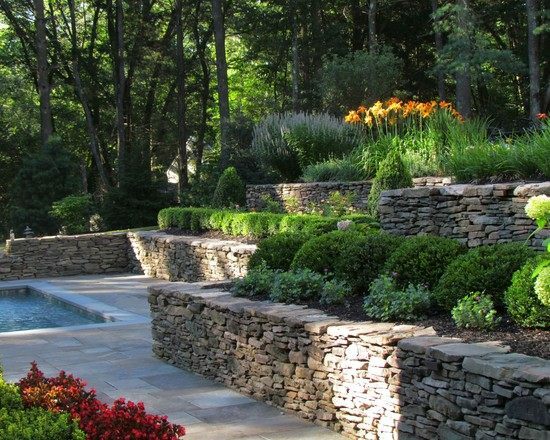 Using decorative retaining walls, you can, without extra investment, make an original garden design and visually divide it into functional areas. 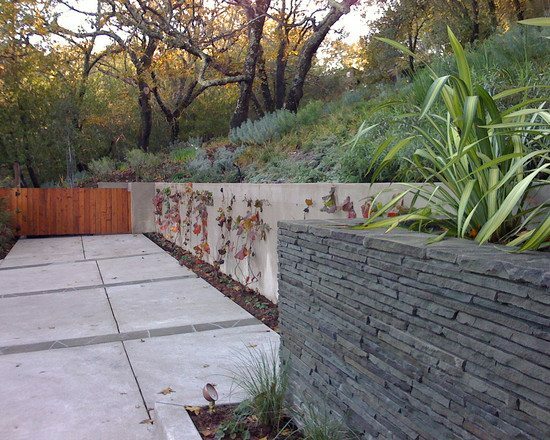 Such a wall will be an ornament of the garden and it can be combined with the architectural style of the house, a fence, a spectacular rock garden or a waterfall. 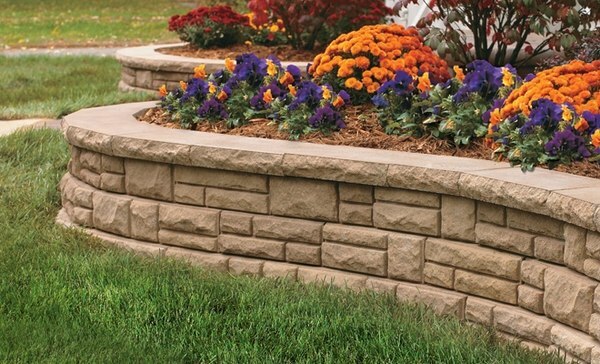 Decorative retaining walls do not need a concrete foundation. 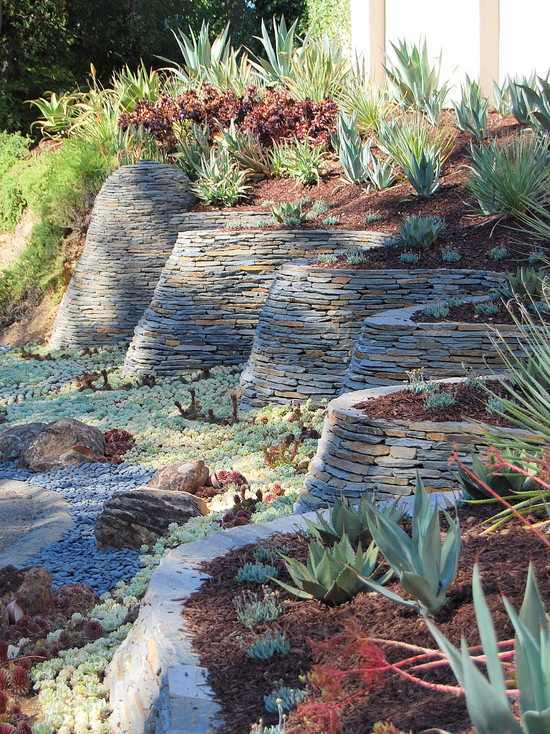 They are created on a crushed stone cushion with thickness of 20 – 30 cm. 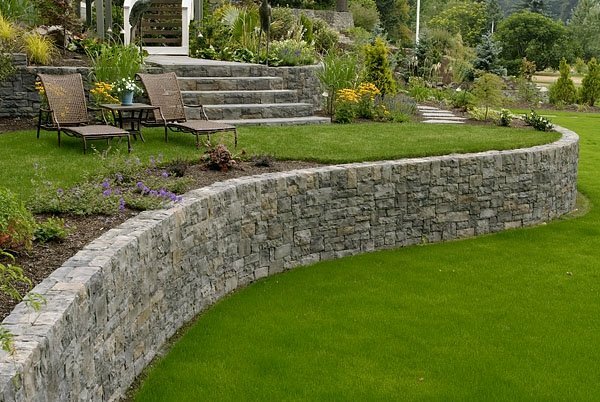 Retaining walls can be classified by different characteristics – height, depth, stability, by the method of erection, freestanding or connected with adjoining structures. 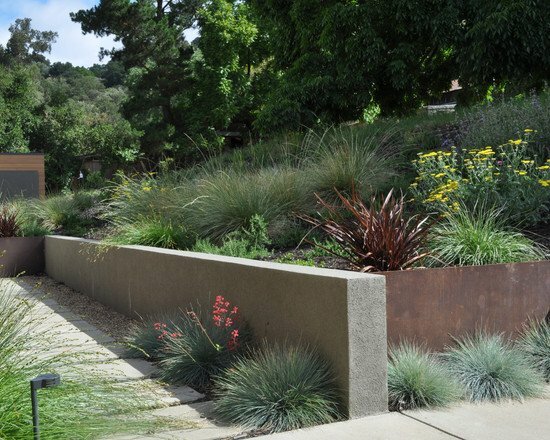 Of course, another major characteristic is the material used for the erection of the wall. 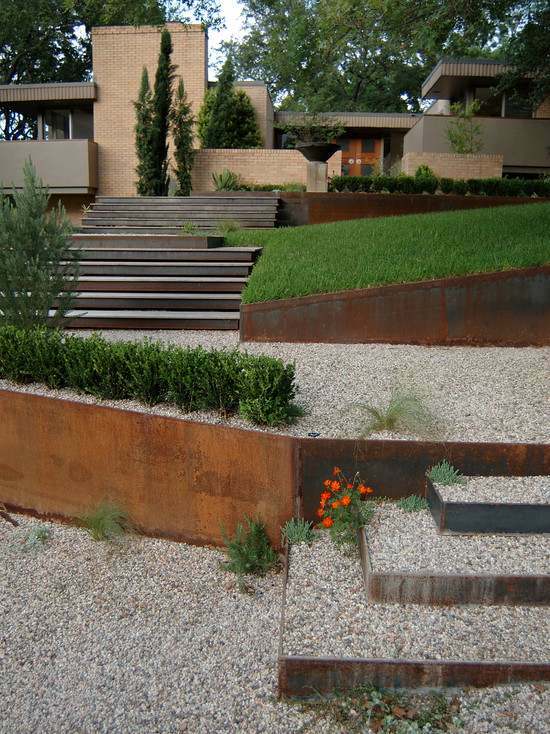 We shall look at some of the most popular materials and their pros and cons. 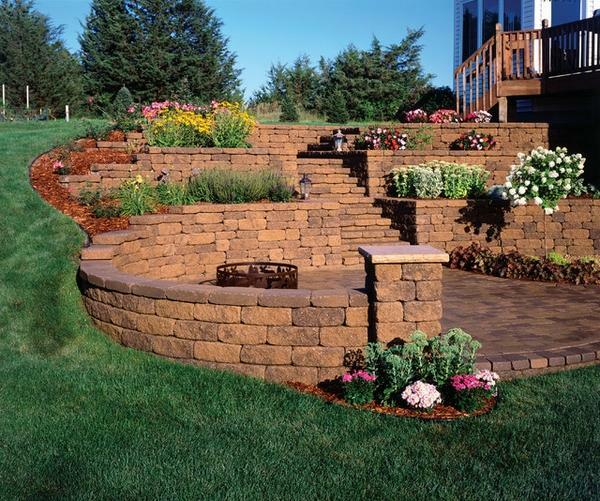 Bricks are a common material for the construction of retaining walls. 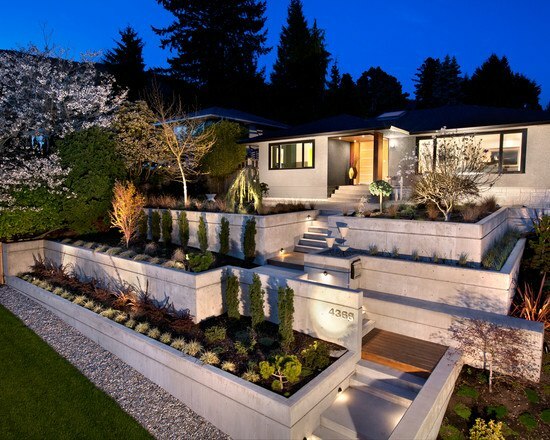 However, bricks should be used only when the wall will not bear heavy loads or as an element of design. 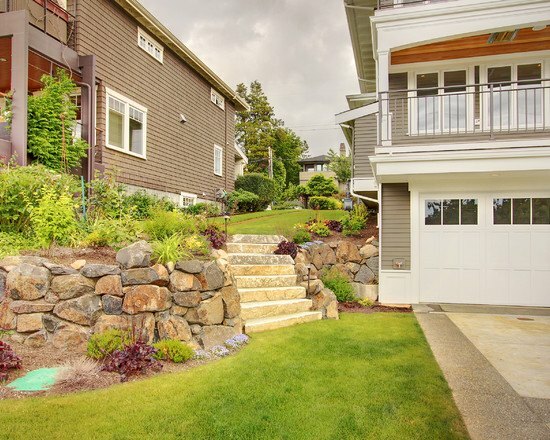 Brick walls are not a suitable choice for water reservoirs or places with high humidity as bricks are not resistant to moisture damage and high humidity destroy the masonry. 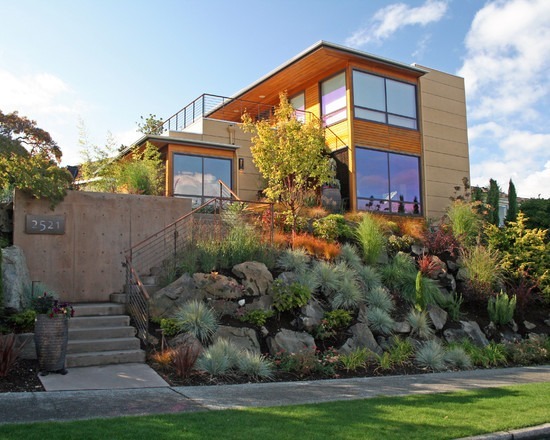 The height of the structure should not exceed one and a half meters. 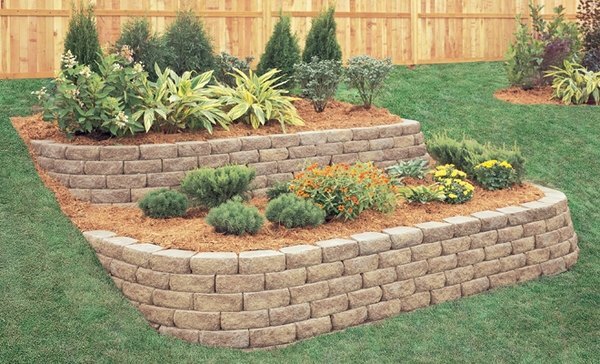 Particular attention should be paid to the thickness of the brick wall. 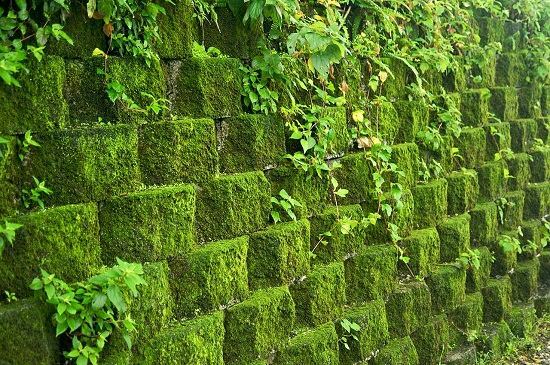 Nowadays bricks are not widely used as construction material for retaining walls because of the high cost and low durability. 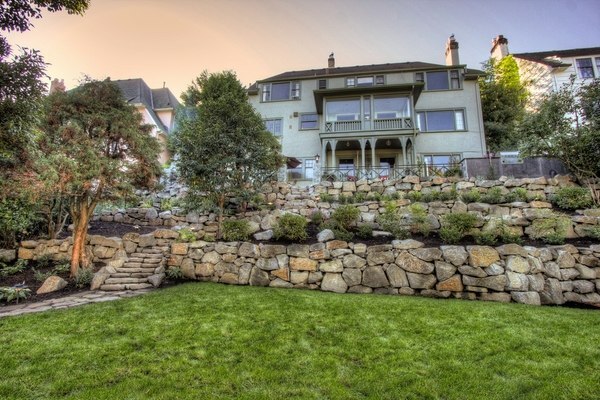 Natural stone is one of the most popular materials for constructing retaining walls. 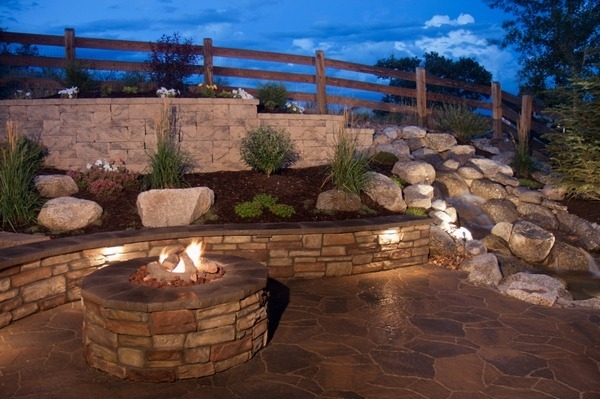 Natural stone is very effective, sturdy and durable but is also an expensive material. 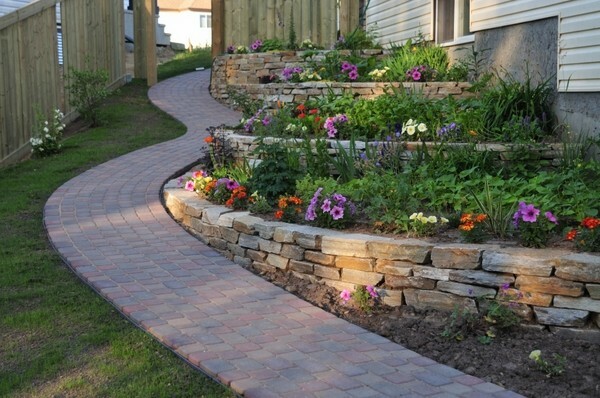 There are several types of stones which are used for the construction – limestone, sandstone, granite, slate, boulder, river pebbles. 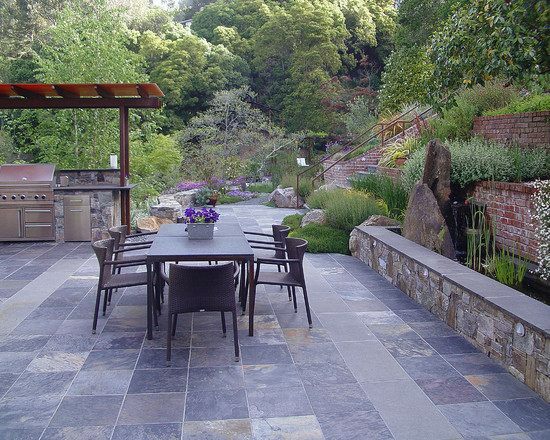 The choice offered by nature is very rich, but it is better to look for natural stone which is typical for the area. 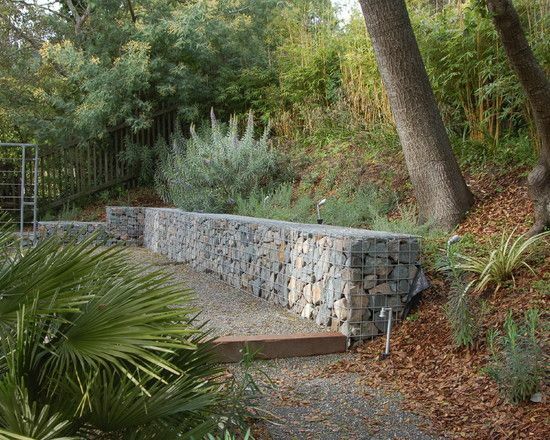 When building natural stone retaining walls you can use a dry masonry or cement. 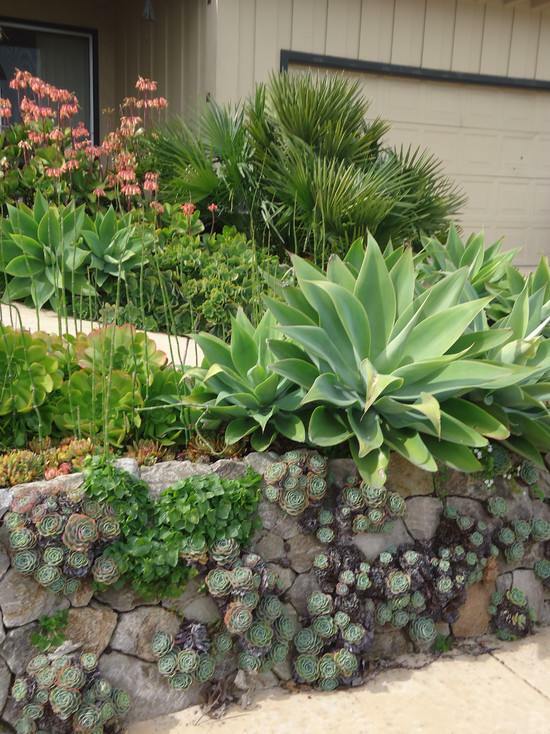 Dry masonry means that instead of using cement, the slots are filled with soil into which plants are planted. 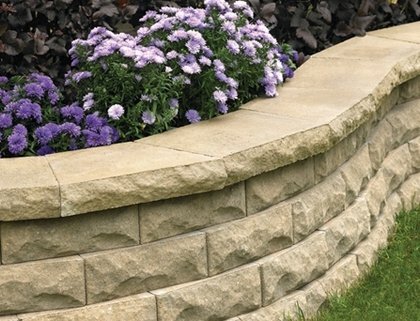 Boulder retaining walls are one of the varieties which has a great visual appeal in addition to the functionality and durability. 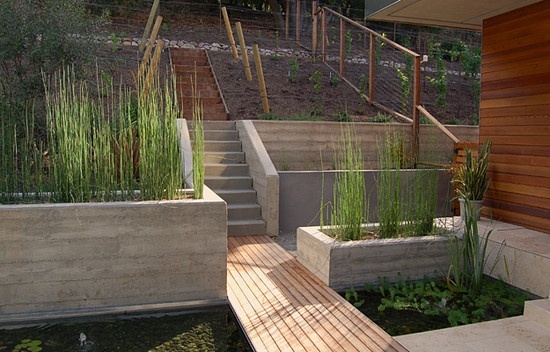 Concrete is perhaps the most popular and reliable material for the construction of retaining walls. 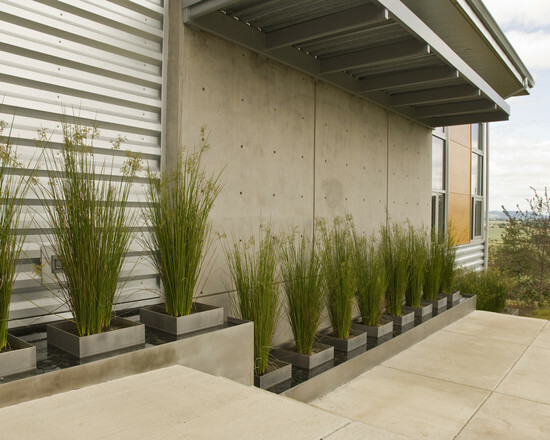 With proper calculation and reinforcement, the monolithic design will withstand any loads. 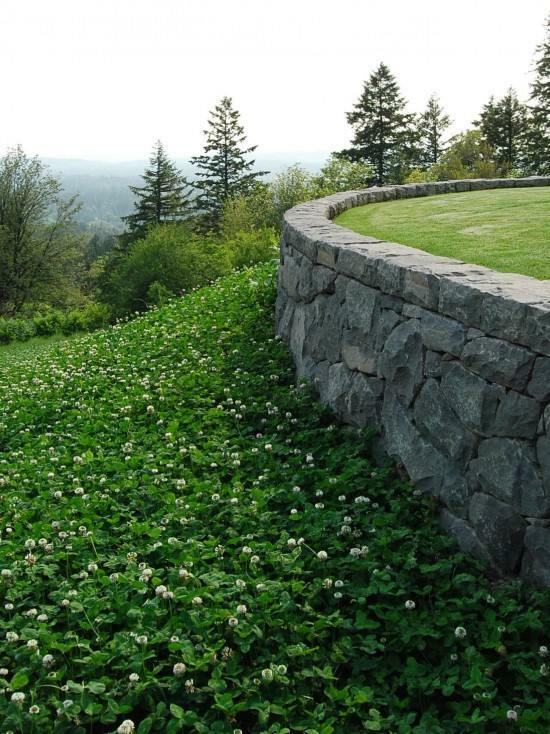 It allows the construction of more complex shapes like semicircles but the main disadvantage of concrete retaining walls is the need of facing. 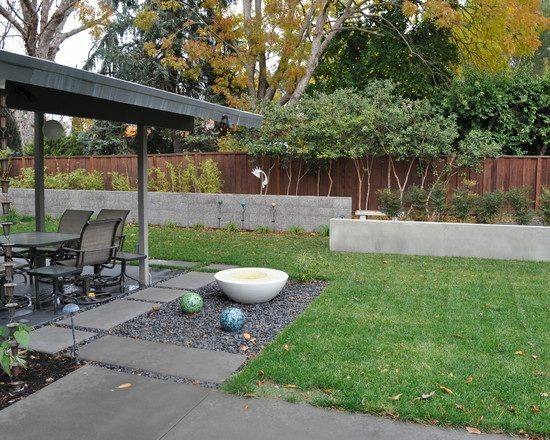 Concrete constructions require decoration with a decorative stone, brick, tile or other materials as the walls do not look very presentable. 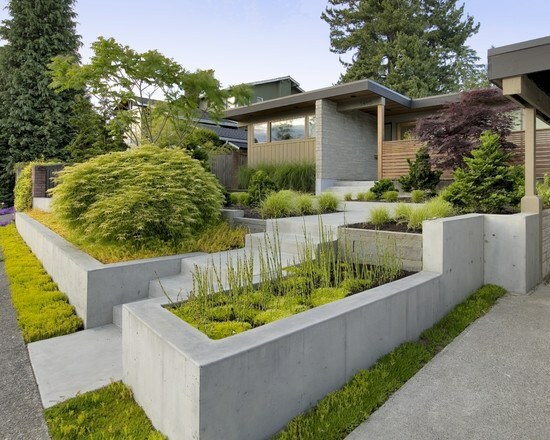 When using concrete, homeowners can opt for pre-cast concrete blocks, which are especially designed for retaining wall construction. 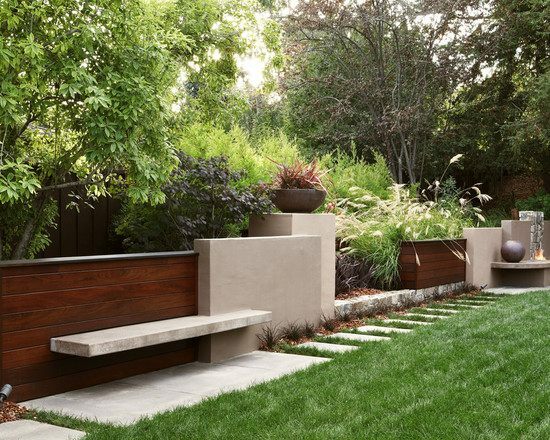 Another option is to choose concrete planters which also come in different colors and add decorative value to the supporting structure. 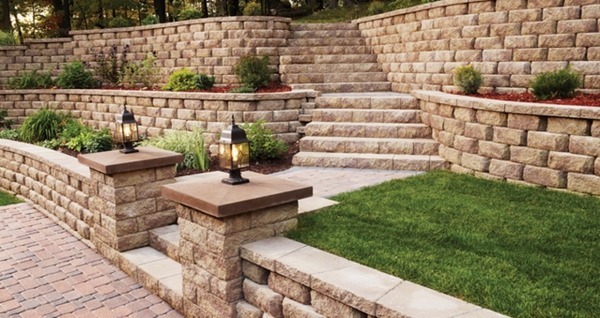 Cinder blocks are another cost effective material which is widely used as a material for retaining walls. 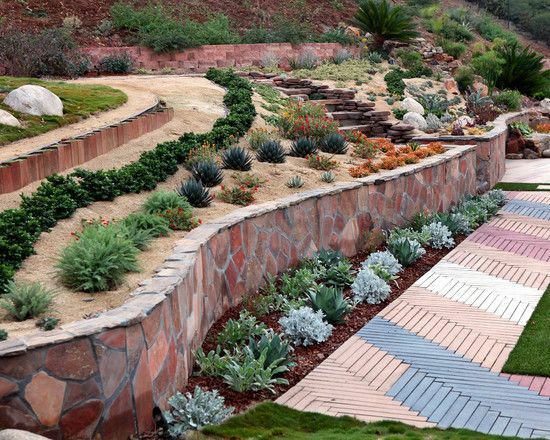 They are made of cement and various types of aggregates and the low cost and good durability and lightweight make them a popular option among homeowners. 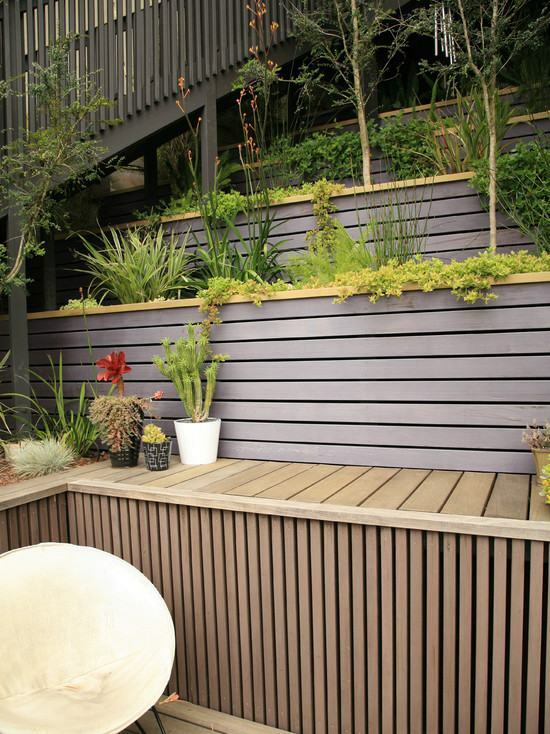 Wood is another material which can be used for building a retaining wall. 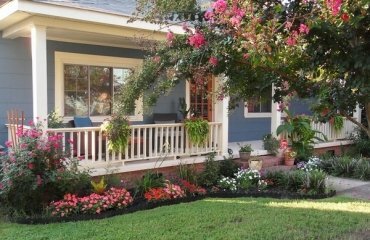 This is an attractive option for many homeowners who work on a budget or prefer a DIY project. 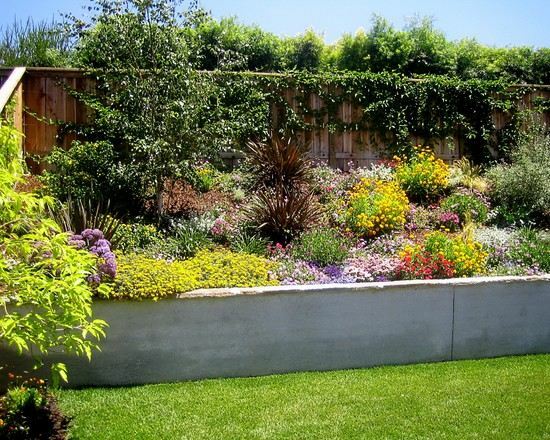 It is necessary to dig a shallow trench, compact the soil and fill it with gravel but any man will cope with such work especially if he has one or two assistants. 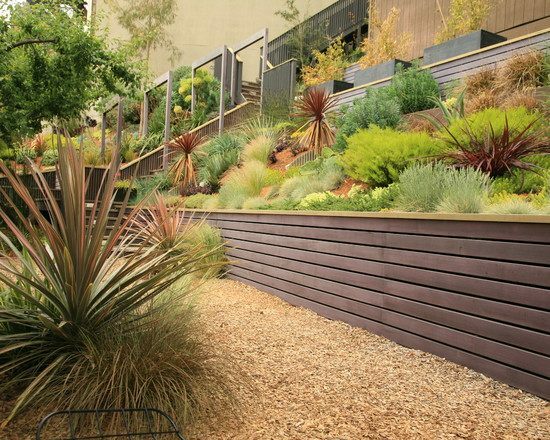 What is important to know about wooden retaining walls is that the material needs adequate processing and the logs or planks should be treated and impregnated with special water-repellent compounds, which will prevent their decay and improve their durability and resistance to elements. 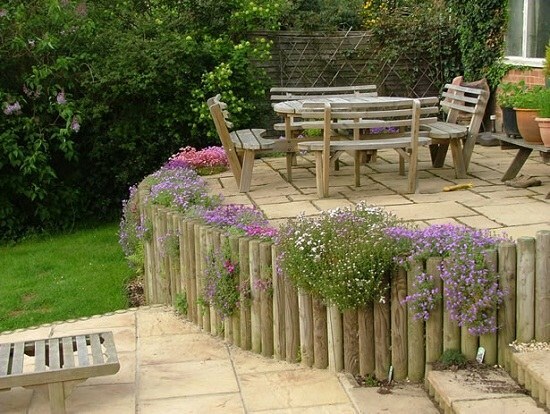 Wooden retaining walls after are durable enough and decorative. 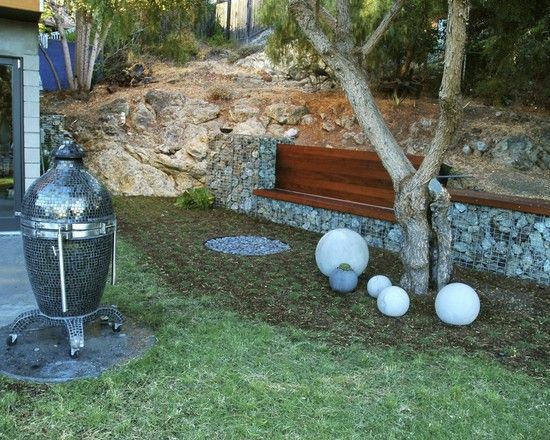 They can be made from a bar or logs that have been cut into the desired size, laid horizontally or dug vertically into the ground, as well as from bamboo, fence or simply solid, sometimes even uncorrupted or sawn tree trunks. 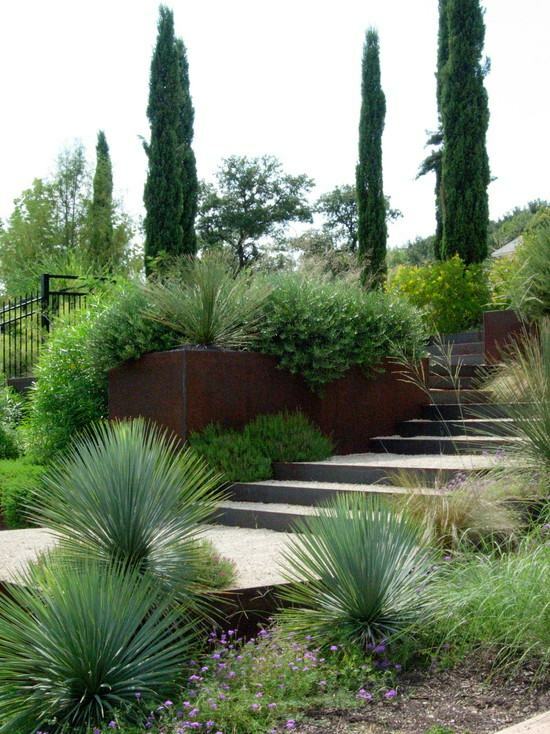 The upper ends are with antiseptic, and buried in the ground is best treated with hot engine oil, creosote, tar or bitumen. 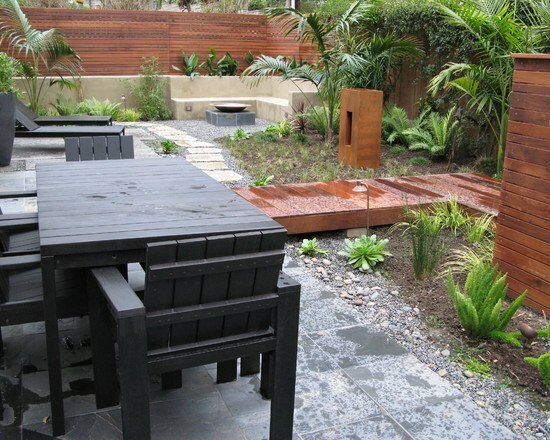 After this, the wooden retaining structures will reliably serve for many years. 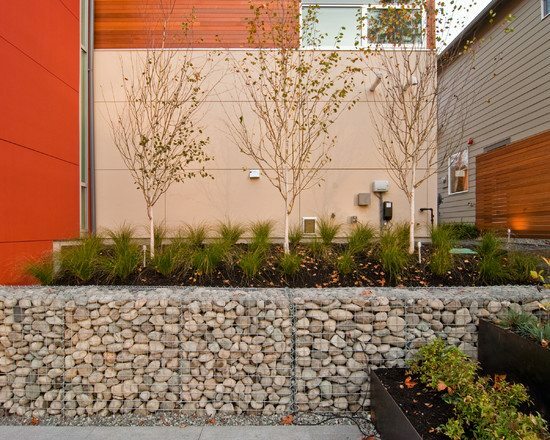 Nowadays, retaining walls made of gabions are especially popular. 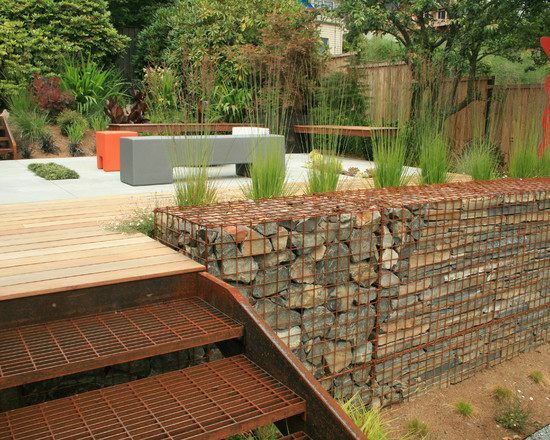 Gabions are modules with a rectangular shape and various sizes. 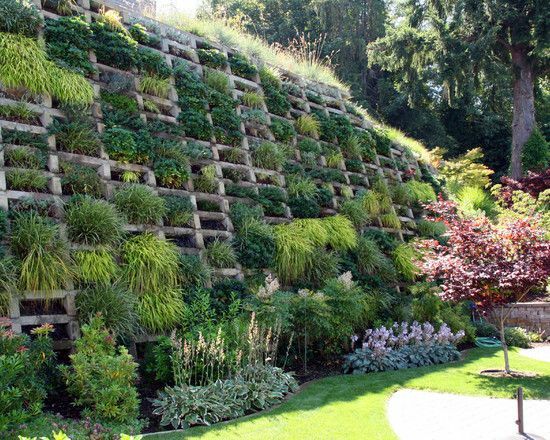 Filled with river or quarry stones the baskets (containers) are aligned with a grid network. 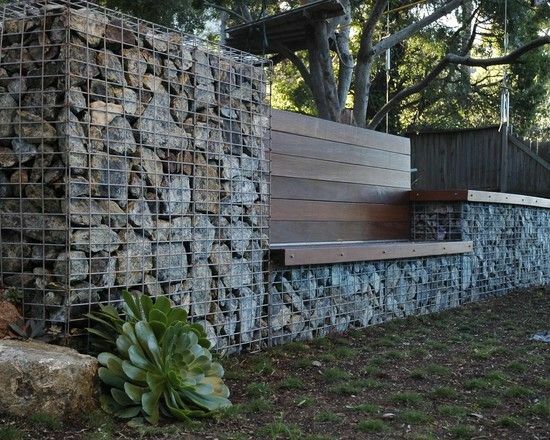 The construction of a gabion retaining wall is very easy and if the wall is small you will not need foundation. 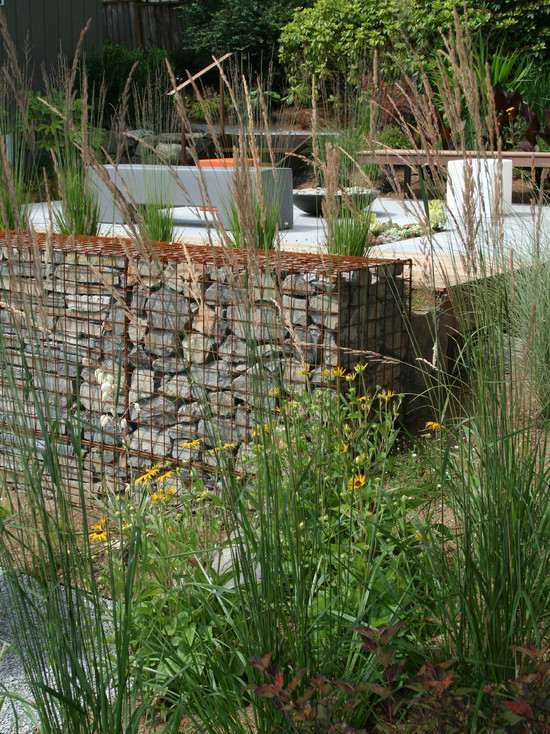 Gabions are efficient and environmentally friendly and in terms of appearance homeowners can fill the baskets with anything they choose – from cobblestone, pebbles and boulders to any other material. 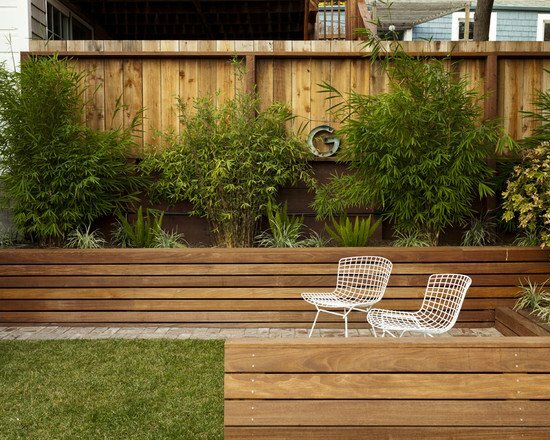 Whether small or large, wooden or concrete, such walls can be seen in many places. 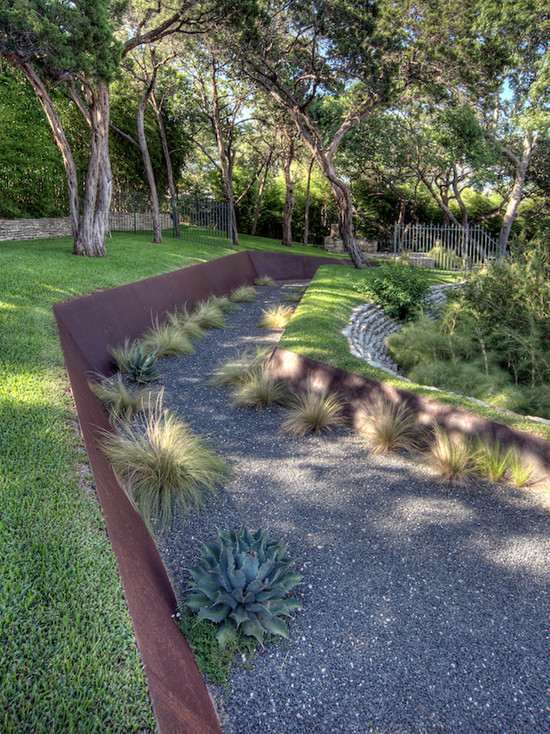 Modern landscape architects create stunning designs, using high quality materials and different styles so quite often a retaining wall becomes the focal point of the landscape design. 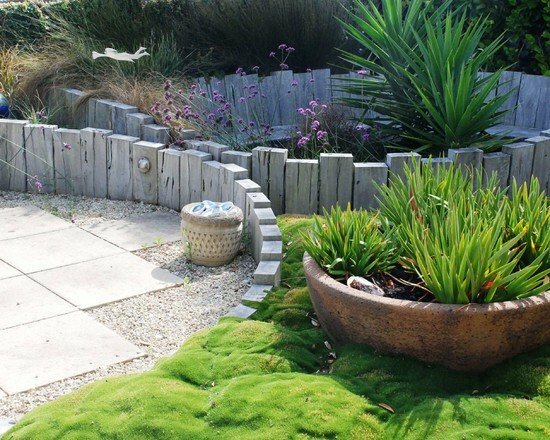 There are wonderful examples of creative gardening which blend engineering with natural elements and offer innovative solutions and visions. 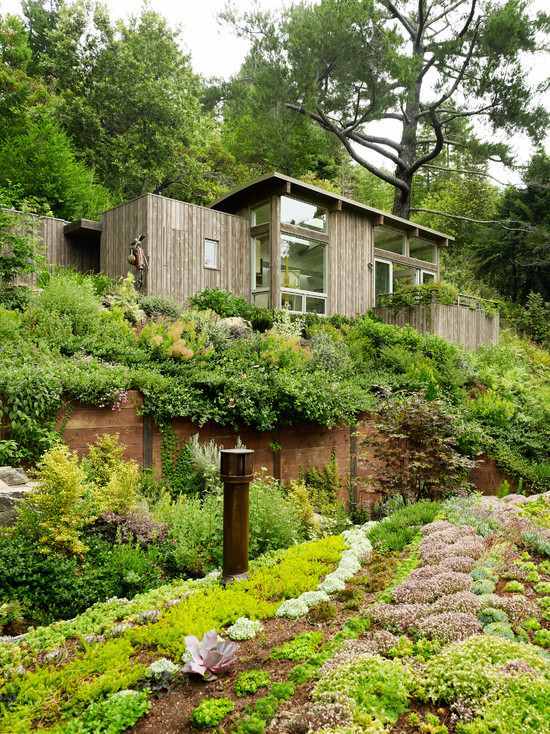 When the home is located in areas with difficult terrain it is essential to strengthen the slopes. 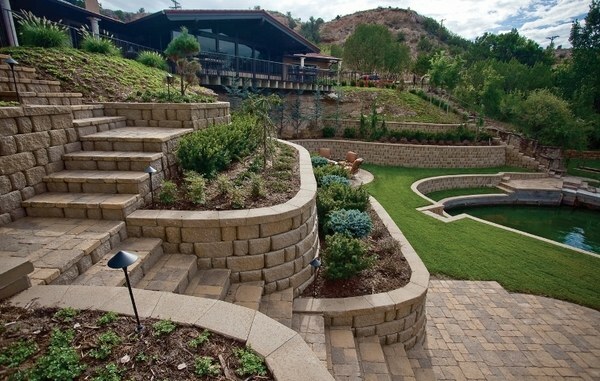 Retaining walls are the obvious choice for such sloping plots and allow you to eliminate the problem with soil erosion. 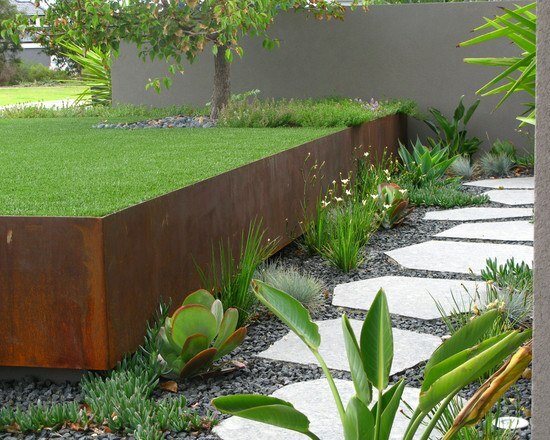 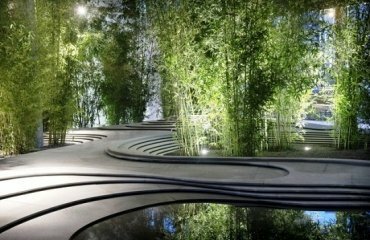 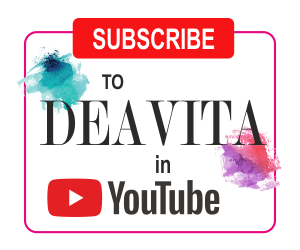 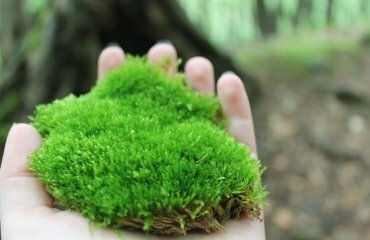 In addition they are a powerful element in landscape design which allows landscape architects to make the best of different level heights in the garden. 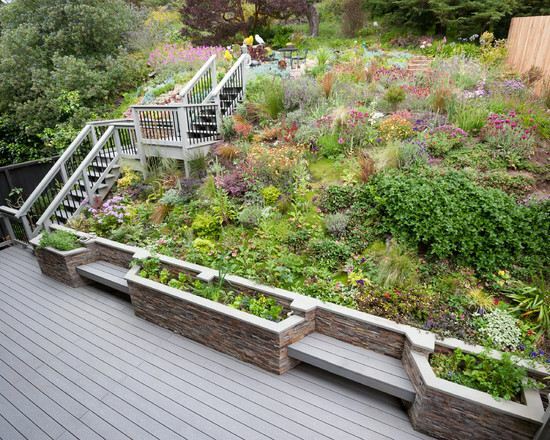 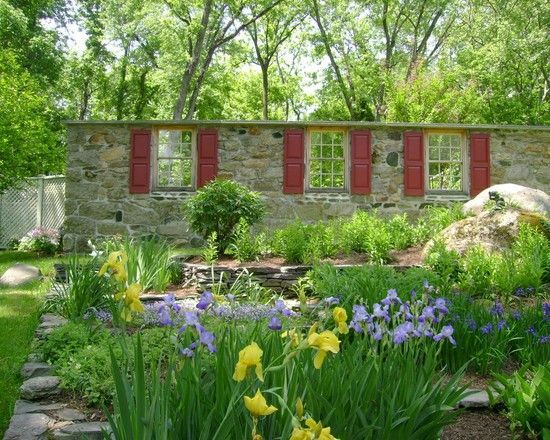 Gorgeous flower beds that are located on higher ground levels look particularly beautiful. 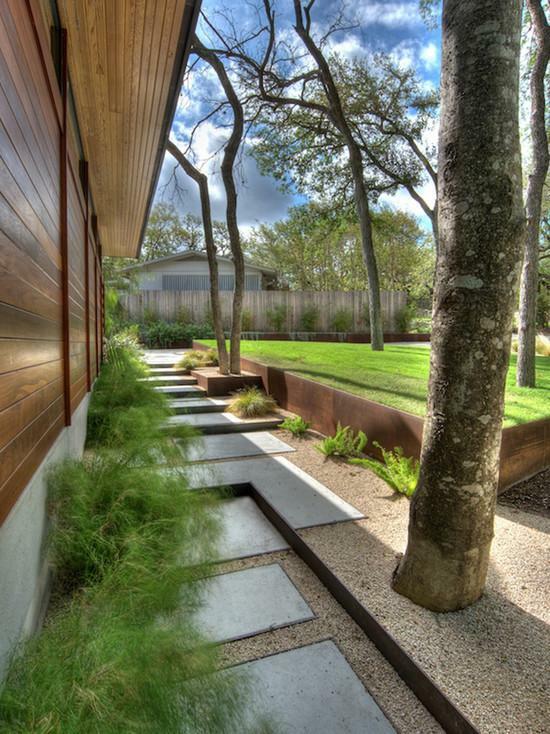 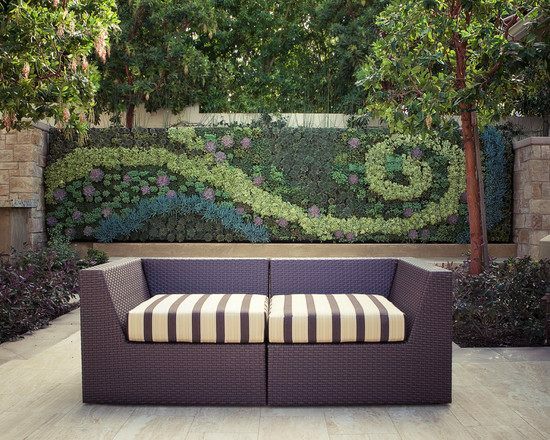 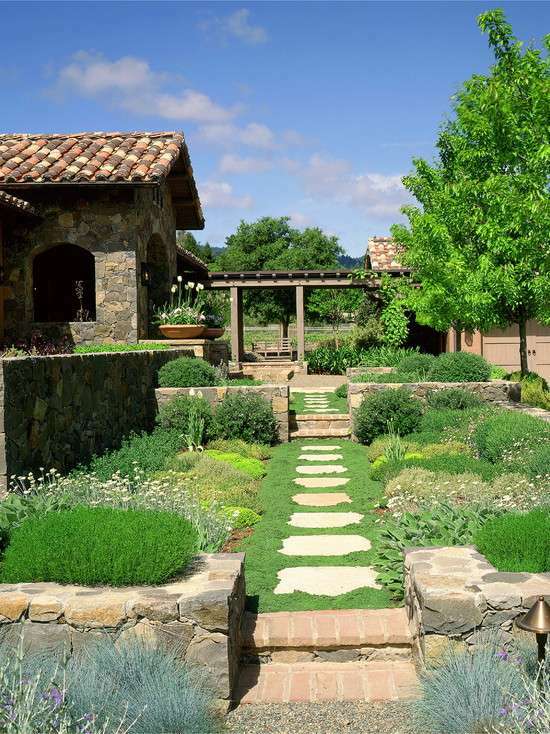 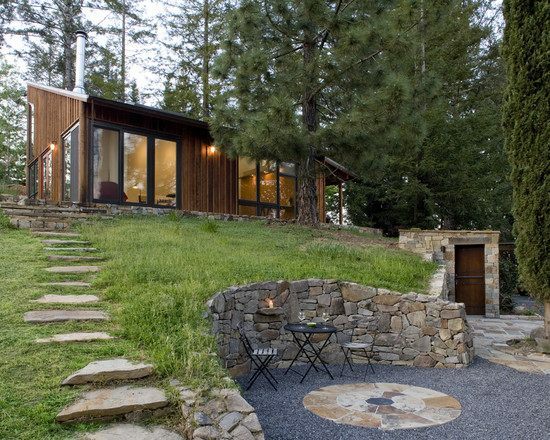 Look at some inspiring landscape designs featuring beautiful walls.